We are just back from this summer’s burger vacation (more BBQ this year than burgers, but I don’t have a BBQ blog…yet!) 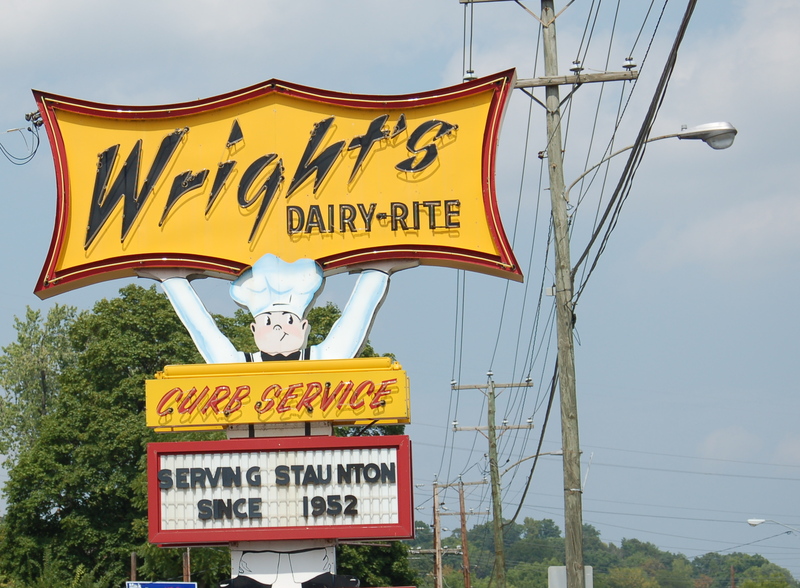 and one of the highlights for the whole family was Wright’s Dairy-Rite in Staunton, VA. What a treat! As they proudly claim on the sign out front, this gem has been serving Staunton (and hungry travelers) since 1952 and little has changed since then (and thank G-d for that!). Staunton’s original since 1952. Two patties of pure ground beef (total quarter pound), real american cheese, shredded lettuce, and our own special sauce. 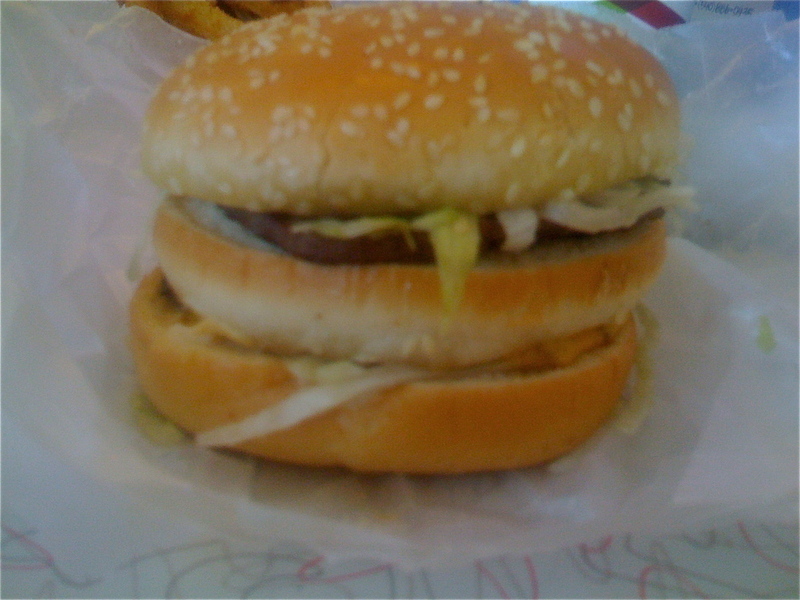 Served on a triple-decker bun. 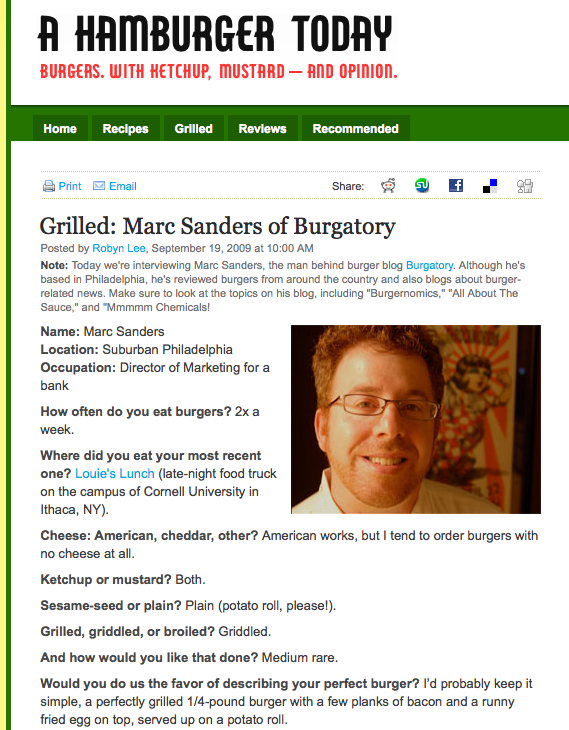 Jane and Michael Stern point out in their foodie bible Roadfood that the Superburger preceeded the Big Mac by “more than a decade” and the taste today continues to outpace the McDonald’s version. The special sauce isn’t syrupy sweet like its fast-food knock-off and the bun is fresh and delicious. Plus, no pickles!! Served on wax paper with a side order of onion rings and perfectly complemented by a chocolate malt this burger made me nostalgic for an era I never lived through. 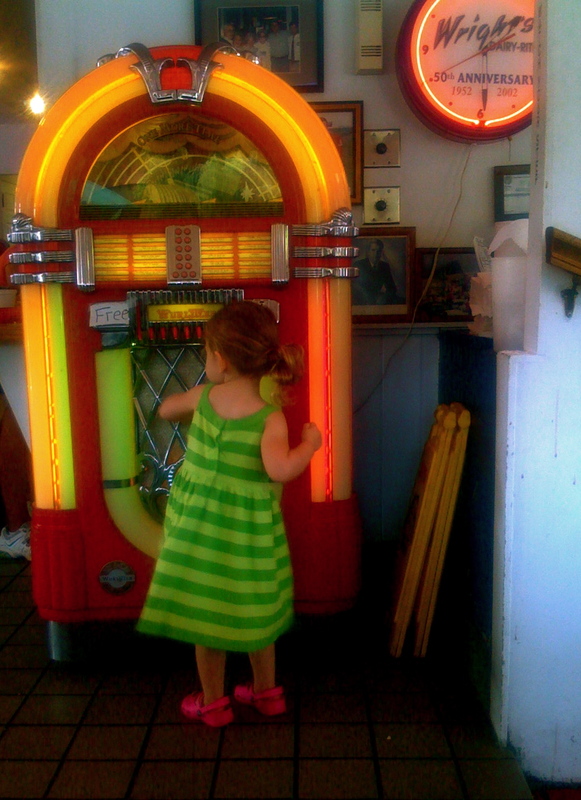 Visiting a place like Wright’s will no doubt make walking into any one of those faux-retro joints a tough task. It is so rare to be able to catch a glimpse of that so-called “simpler time” and I know our family is better for it. Staunton is a beautiful little town, too. Train buffs (and parents of little ones) will want to check out the “Gypsy Express” train located in the Gypsy Hill park. For a buck a person you get a great ride on a cool train that is about as old as Wright’s. Stop by on July 4th or Labor Day and your ride is free (more $$$ to spend on burgers!!). Looks like you just missed one, but another one is coming up at the end of the summer. From their website: Every year Wright’s hosts 2 Cruise-In events that take place on the Sunday before memorial day and the Sunday before labor day. All Cruise-Ins are officially from 2 until 5 p.m., but you should arrive much earlier for the best parking spots. The Cruise-Ins attract a large variety of antique and classic cars. There are no fees for the participants, and parking spots are given on a first come, first serve basis. Every registered guest receives a dash plaque and becomes eligible for the People’s Choice Top Ten awards.